"How do I password protect my MacBook Pro on startup so a casual thief can't start it up and use it?" For Mac users, your computer contains personal documents, photos, email messages, and even a log of your Internet activities. 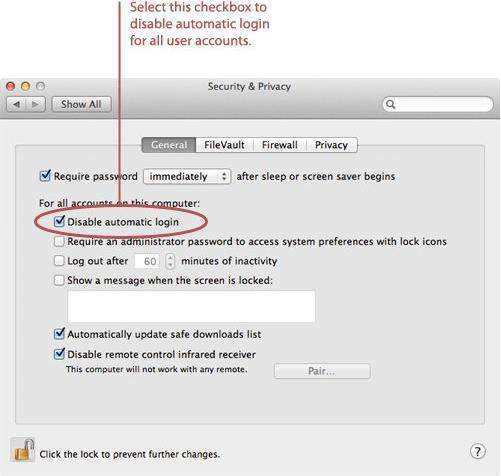 Considering the security of the information, you are highly recommended to password protect your Mac. Password protecting your Mac keeps this private information safe and allows you to control who accesses your computer. Keep reading and get to know the way to password protect your Mac computer including Mac Book Air, MacBook Pro, iMac, Mac Pro, Mac mini running Mac OS X 10.9, 10.8, 10.7 and lower. Tips: We have also introduced how to create a password in Windows. Windows users can click here to learn directly. How to Password Protect Your Mac Computer? To keep your information safe, you should be sure to use passwords to secure your Mac, and choose passwords that can't be easily guessed. And then, you'll also need to enter a password to exit the screen saver and wake the computer from sleep. Follow the instruction on how to password protect your Mac computer in 2 parts. When you set up your Mac for the first time, you create an administrator account that automatically logs in when you turn on your computer. Once if you want to password protect your MacBook Pro or other Mac computers, you need to disable automatic login. Step 1. From the Apple menu, select "System Preferences". Step 2. Select "Security & Privacy". Step 3. Click the "General" tab. Step 4. Click the lock and authenticate with an administrator account. The window shown below appears. Step 5. Select the "Disable automatic login" checkbox. Step 6. Click "Show All". Step 7. Select "User & Groups". Step 8. From the sidebar, select "Login Options". The window shown below appears. Step 9. Select "Off" from the "Automatic login" pop-up menu. This forces users to log in before using your Mac. Step 10. 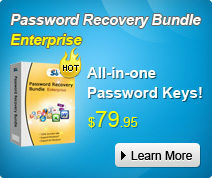 Select "Name and password" to require users to enter both their username and password. Thus, you have finished to password protect Mac. 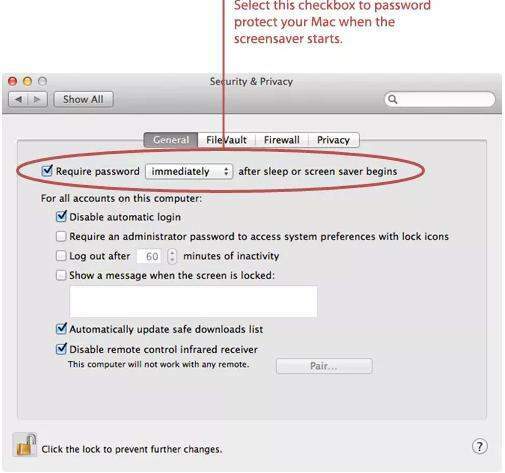 After your Mac is password protected, you'll also need to activate the screen saver. Once your screen saver starts, your computer will be protected while you're away from your desk. No one can access it without your password. Step 3. Click the "General" tab. The window shown below appears. Step 4. Select the "Require password after sleep or screensaver begins" checkbox. Set a time interval for when the password is required – the "immediately" option is recommended. This will require the user to authenticate when exiting the screensaver or walking the computer from sleep. Step 5. Click "Show All". Step 6. Select "Desktop & Screen Saver". Step 7. Click the "Screen Saver" tab. The window shown below appears. Step 8. Move the "Start screen saver" slider to change when the screen saver automatically starts. The goal is to set the time low enough to protect your Mac if you forget to manually start the screen screener, but high enough to avoid triggering the screen saver when you're actually using your computer – something that can get annoying fast. You might have to experiment with this setting over a couple of days to get it just right. Step 9. Click "Hot Corners". The window shown below appears. Step 10. 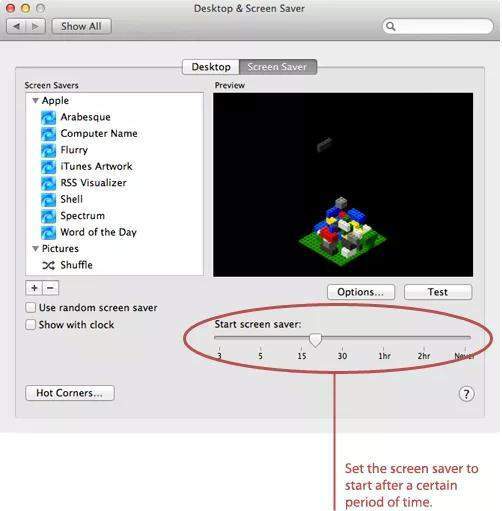 Pick a corner to activate the screen saver. You will move the pointer to this corner to activate the screen saver and lock your computer. From one of the menus, select "Start Screen Saver". Step 12. Close the System Preferences. 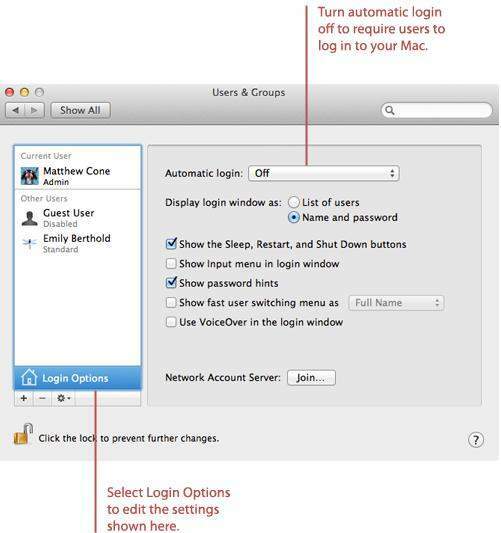 Finishing all the steps above, your Mac OS X 10.9, 10.8, 10.7 and lower computer has been password-protected completely. It's pretty good protection against snoops at home or in the office.